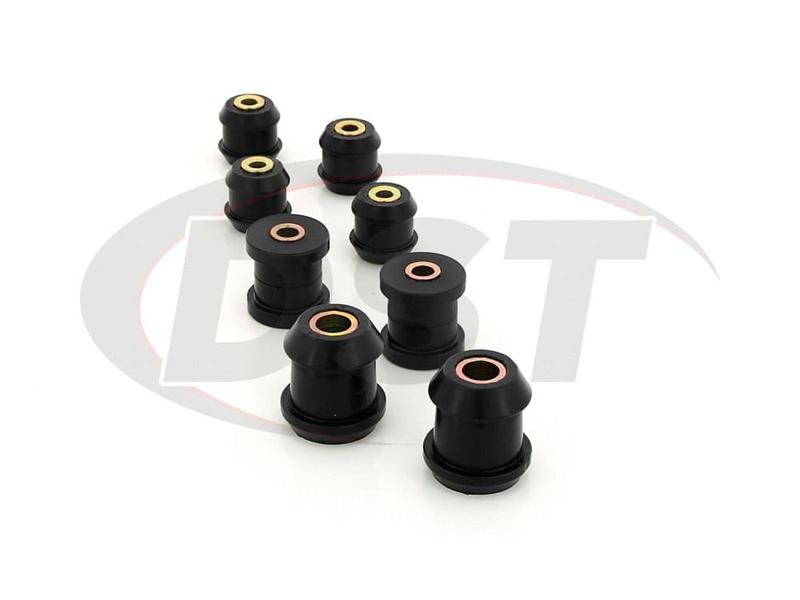 Factory rubber bushings wearing out is not a question of if, but when. 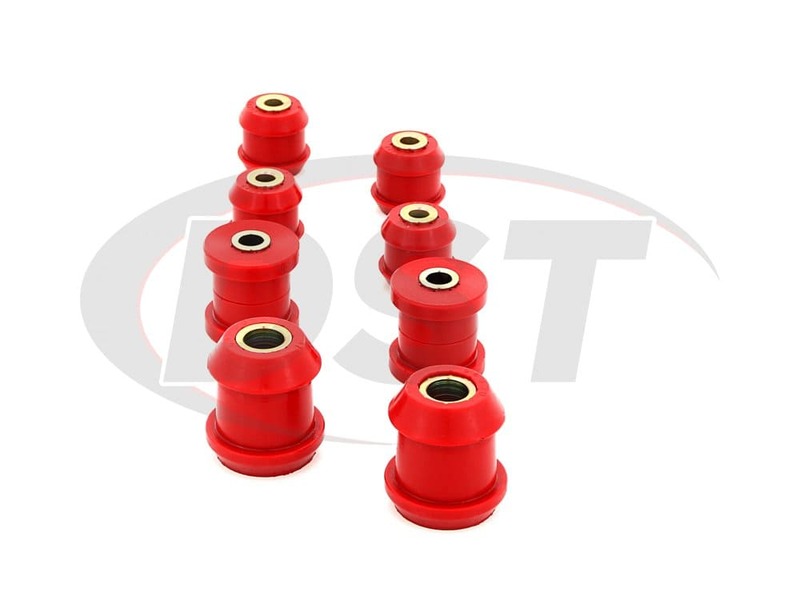 Worn out bushings can create excess movement with your control arm, causing your control arm to move in ways that it was not intended to. Once this happens your Civic's alignment will be shot, and your tires will begin to wear unevenly, causing you to spend money on tires and constant re-alignments. 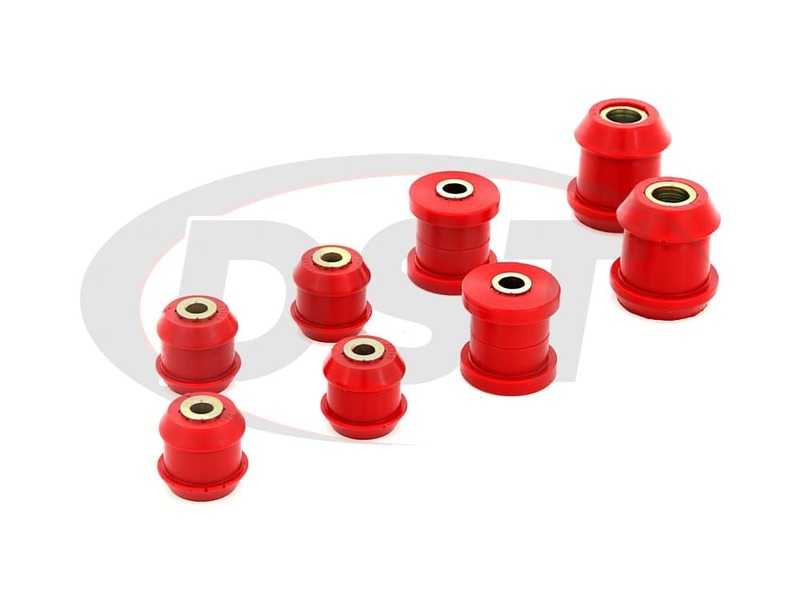 Polyurethane is a far more durable material for suspension bushings. 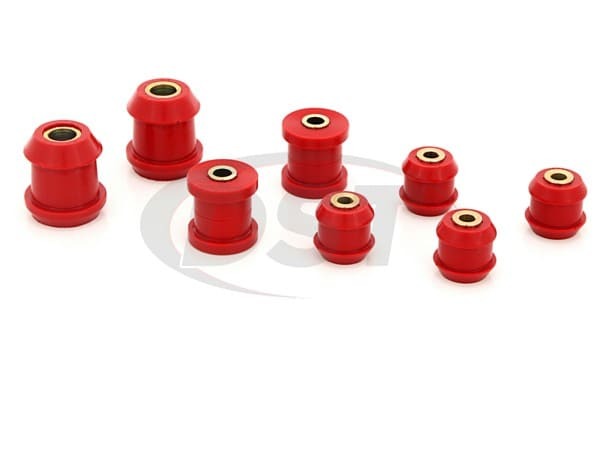 The 8203 will completely replace the stock rubber bushings with Prothane's performance polyurethane. The results will be immediate. Your Honda, or Acura, will see significantly improved handling and a smoother ride. Polyurethane does not wear or distort like rubber, and this is backed with Prothane's Lifetime warranty. One kit will cover both the left and right of the front upper and lower control arms on the vehicle. 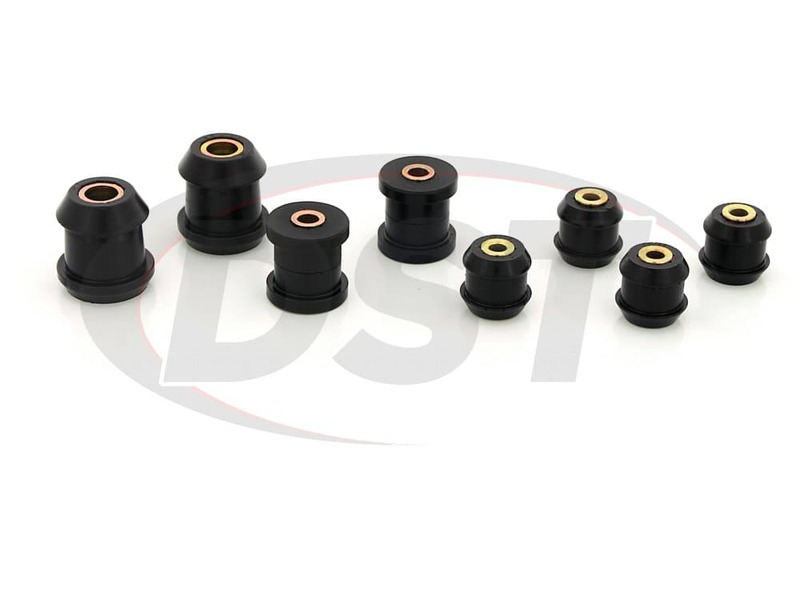 Now a common misconception with this kit is that it also includes the front lower shock mount bushings, which is found in the middle of the lower control arm. 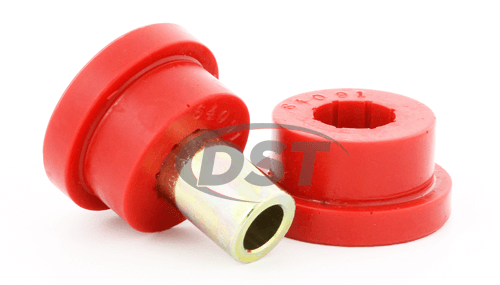 This bushing is actually found in the 8901. 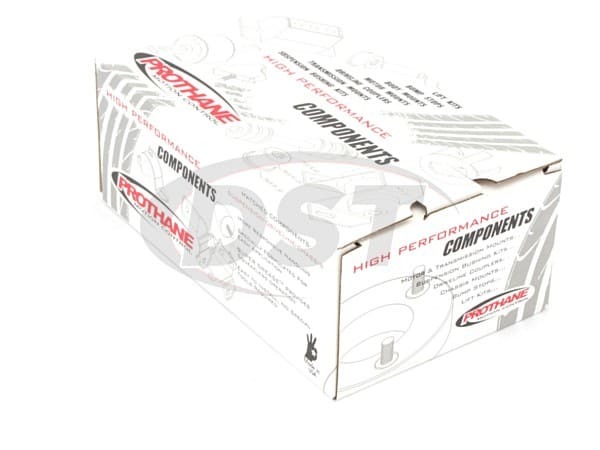 A nice feature of this kit that Prothane has put into their bushings can be found in the inside. 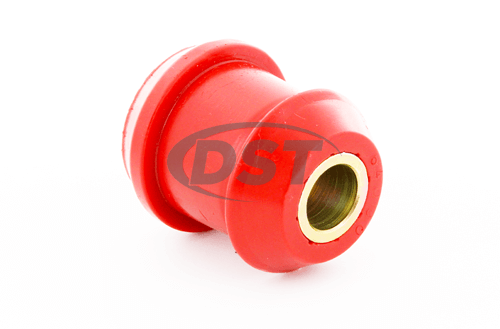 There are inner grooves on the inside of the bushing that keep from being squeezed out during installation. for these vehicles. Give our customer service team at DST a call if you have any more questions. starstarstarstarstar" Great but the installation had a snag. " While the LCA bushings fit snuggly , it was nice that the ES bushings had more material. I think these will perform better!